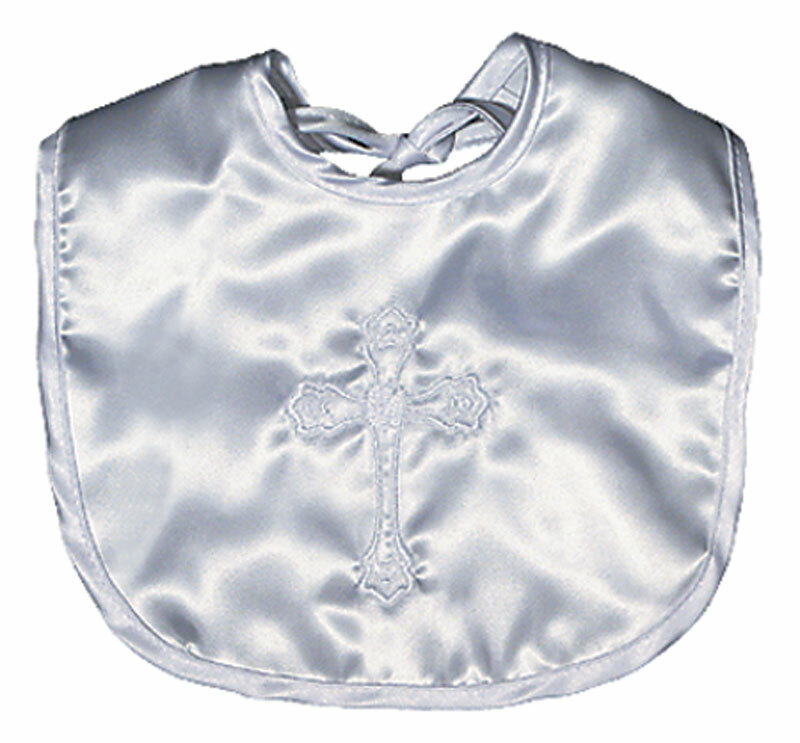 This embroidered satin cross bib will not take away from any Christening gown or suit and it will not only offer protection when feeding, but also can also be saved as a wonderful keepsake from the occasion. 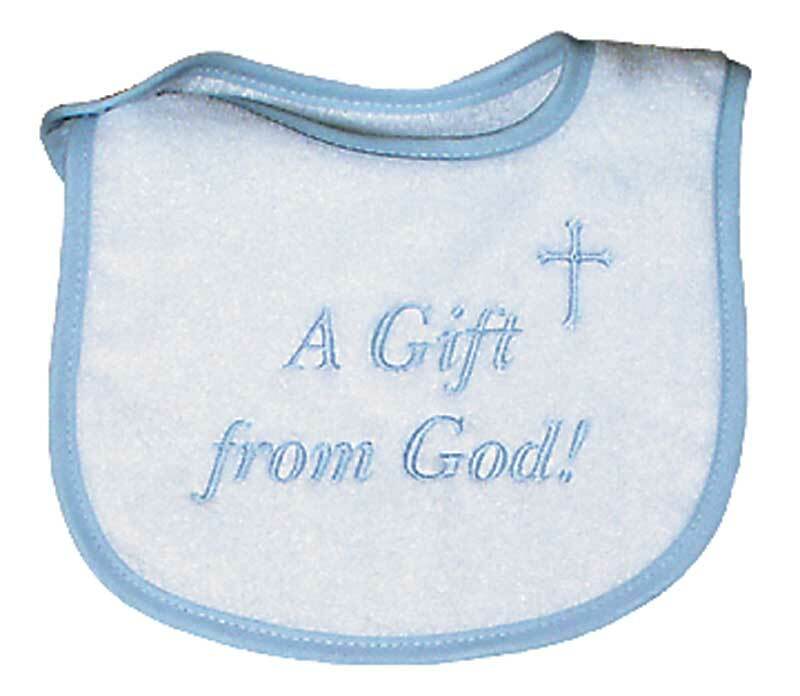 All of a baby's basic needs and more are met in this, made in America, embroidered, satin bib. 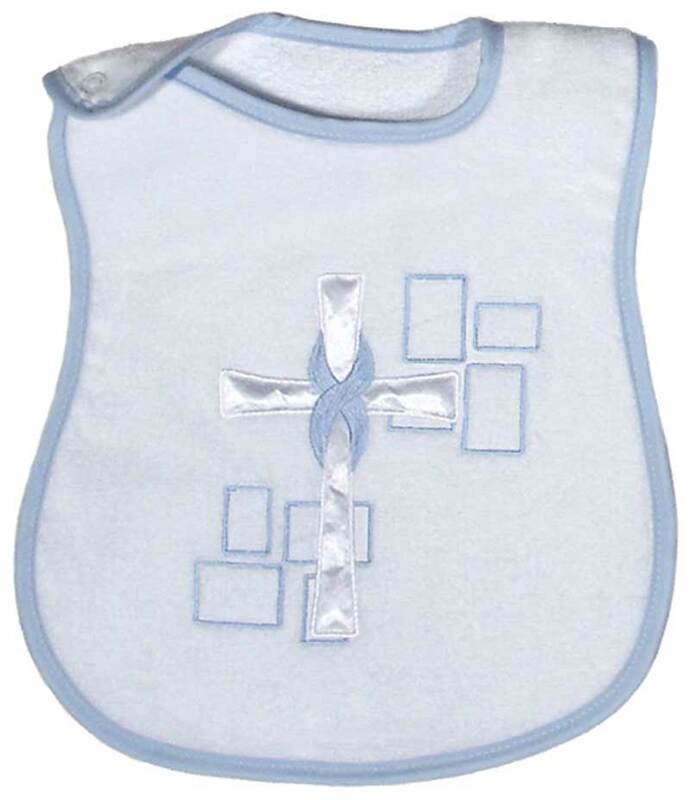 Why is this top quality bib so soft next to baby's delicate skin? 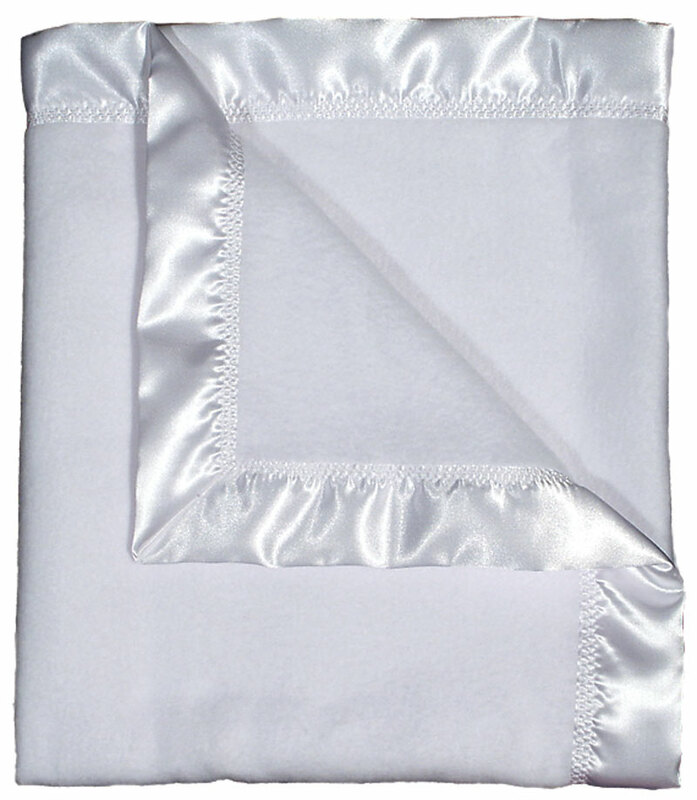 Because the polyester satin is backed with poly/cotton broadcloth, which makes it a very usable bib. 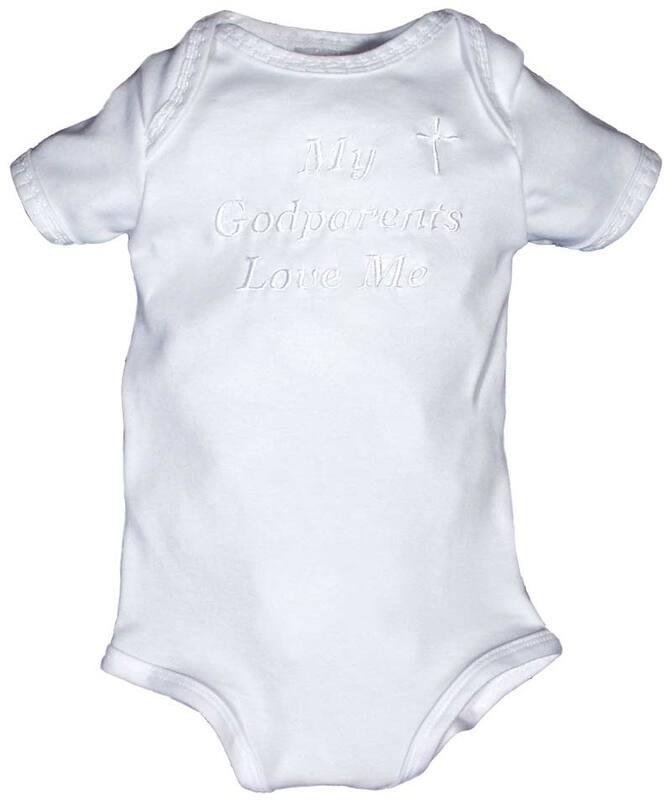 It will continue to wear and wash beautifully and coordinate with a multitude of Christening outfits and other clothing. 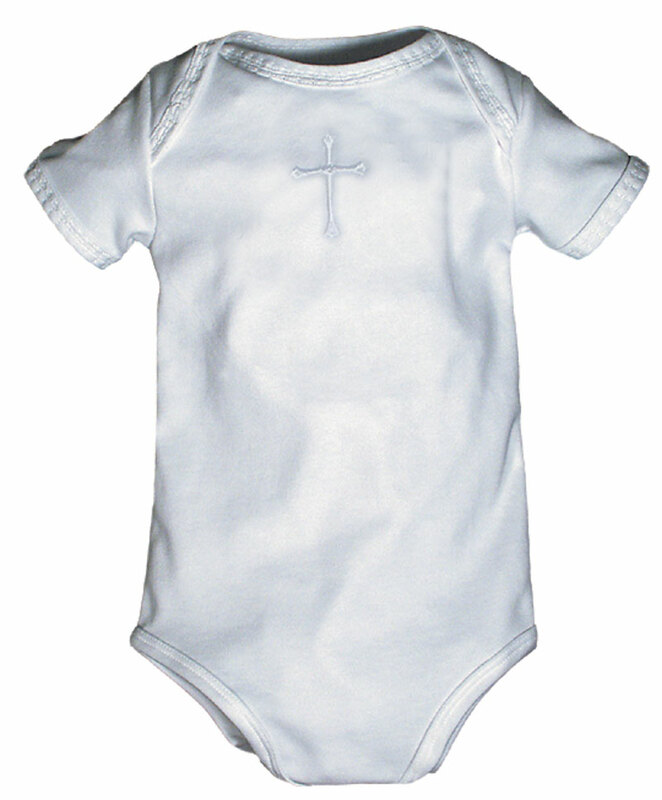 This plain Christening bib is unisex, which works for a girl or a boy but there is a lace version for girls, as well.